It’s your last chance to rank up your Battle Pass. Ahh, yes, do you smell that? Seasons are changing. It’s getting chillier. 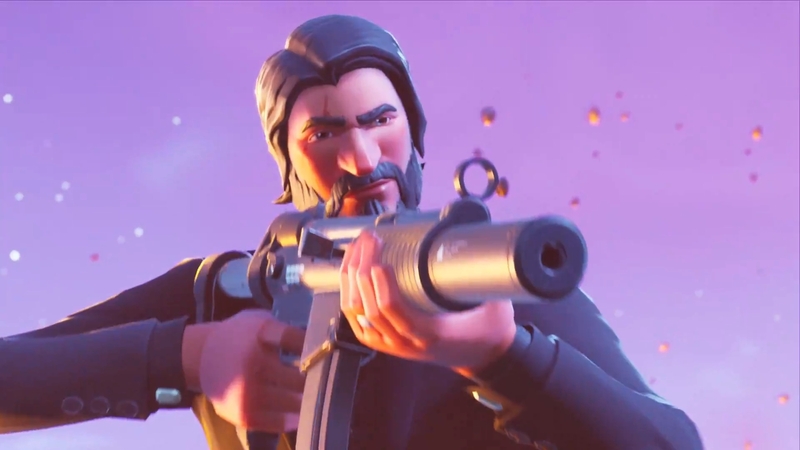 Winds are picking up, leaves will soon change colors—and a new Battle Pass is coming soon to Fortnite with season six. But before we say goodbye, it’s time to finish out season five’s last week of challenges. Let’s get to it, Battle Bus-rider. 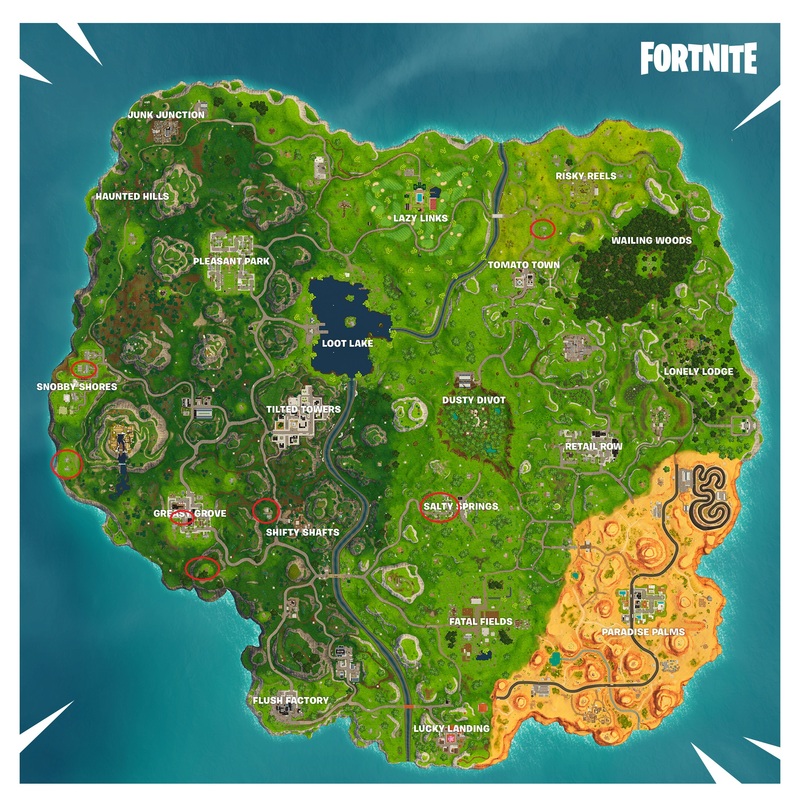 You’ll need to find houses with basements in them for this challenge, so head to places like Salty Springs, Greasy Grove, and Shifty Shafts and head downstairs. This video shows some of the locations on where to find basements on the map, and the map shows their general area, too. Apples and mushrooms are scattered all around the map. Follow our apple location guide and mushroom location guide to find out where. The final free challenge of season five is to eliminate ten opponents. You won’t be able to finish this one by hiding in a tree all game, so “get good” and hunt down some foes. Searching seven chests in Salty Springs will be difficult if only for the fact that it’s a popular landing spot, and will be even more poppin’ in the final week of the season. Chests are strewn all about the town in houses, so get searching. Deal 5,000 damage to opponents? No time for slouching. This one will come with time, so just play like normal and shoot at enemies, and finish off downed ones to rack up the damage numbers. 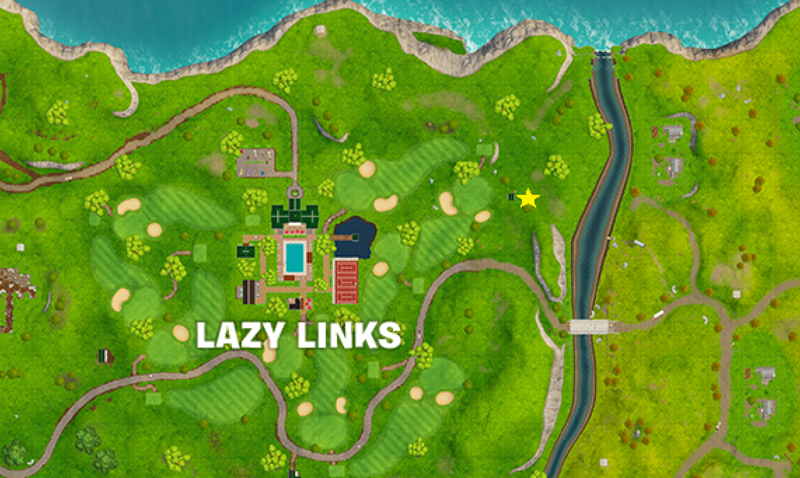 Head to this location east of Lazy Links for this week’s hidden Battle Star. The last multi-stage challenge of the season sees you traveling all around the map from the northwest to the far east to the far south, so you’ll have to get this one done over the course of multiple games.